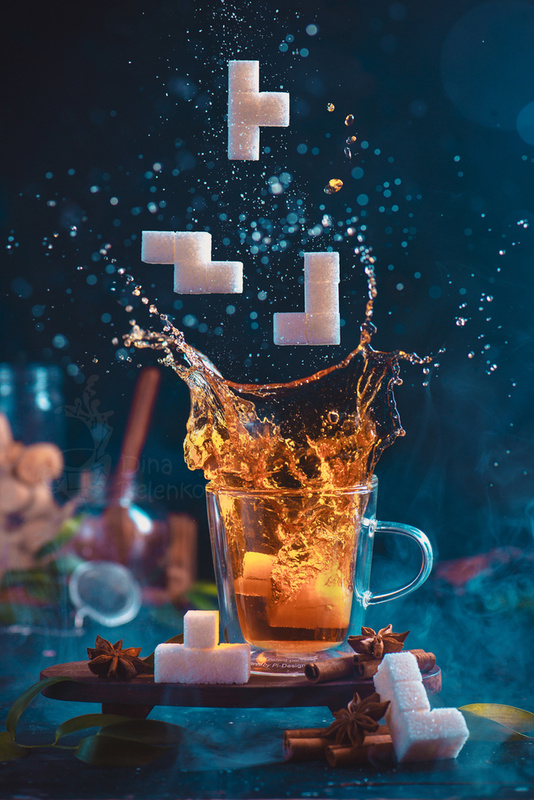 Sugar cubes are awesome. You can think of them as of building blocks and create an entire diabetes-inducingly sweet castle. Or you can think of pixels and build an 8-bit video game full of cookies. A cup of Tetris tea, anyone? Wow, this is brilliant. I'm really curious how you got the lighting right on the 'falling' pieces. your work is very entropic. It's quite unique and truly beautiful! you definitely have your own style going.I'm very inspired!